Blue Coupe is a hard rock trio including Rock and Roll Hall of Famer Dennis Dunaway of the original Alice Cooper Group alongside multi-instrumentalists Joe and Albert Bouchard of Blue Öyster Cult fame. 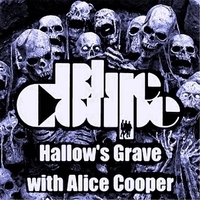 Joined by singer, Alice Cooper for a Danse Macabre. This is an extended high quality version of the song on Blue Coupe's 2013 album, Million Miles More which features Alice Cooper on vocals. Below is a quote from a much longer review in the UK's Classic Rock magazine. A mightly impressive follow-up to 2010's debut album Tornado On The Tracks, Million Miles More finds this talented trio (numbering Albert and Joe Bouchard from Blue Oyster Cult and former Alice Cooper bassist Dennis Dunaway) coming up Trumps. Opening with the who-flavored Prophets, Dukes and Nomads, it refreshes with its intelligent rock, clever lyrics and masterful hooks. Alice Cooper snarles eerily on Hallow's Grave and Dennis Dunaway must take a bow for Devil's Highway, an Alice-esque monster.